I picked Dunkin Donuts as a logo design that i admire, because it really get the message across to consumers visually. It has some really nice and bright colors to really get you attention, and it also has the image of a cup of coffee so you know that they sell coffee and donuts. They also really get there message across visually with there slogan America runs on dunkin. It really is an easy, yet effective way to get the consumers attention by using something catchy. The identity was created for a korean cosmetics company. I think the design is successful as their target audience is young women and the logo is girly and cute. It almost gives off doll-like effect as if to make customers feel young and pretty. 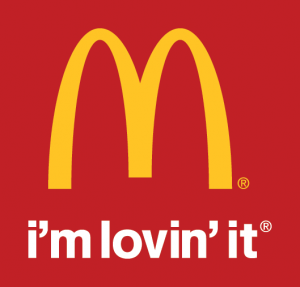 I have choose Mac Donald for my identity system. This logo is very successful, the use of colors are bright and sharp which could get customers attention easily from far away. Also the “m” shape design given the customers a feel of happy and childish, this also attracted a lot of young age customers. The logo are also very success with the use of positive and negative space. F.y.e. – For Your Entertainment, owned by TransWorld Entertainment Corp., is the largest retailer of CD’s, DVD’s, Video Games, & Trend Items. Since it’s launch in 2001, F.y.e. has led in the entertainment industry, while other companies struggled to survive in an fast growing digital world, which is hard to compete in. This logo has become a staple for the entertainment industry, in the fact that you can spot a store in every major mall across America. With their fun colors, and curvy logo, it is clear that this company reaches out to the young adult and teen generations. The logo is simple and fun. Because the logo has never changed, most, if not all shoppers know exactly what the focus of this brand is. I chose the Tostitos logo for the Identity Systems post. I think the logo is very interesting and captures what Tosititos is all about. The color scheme fits the mexican/hispanic origin of the food, as they are tortilla chips. The logo is also clean, sharp and simple, but get the “message” of the product across clearly and quickly. 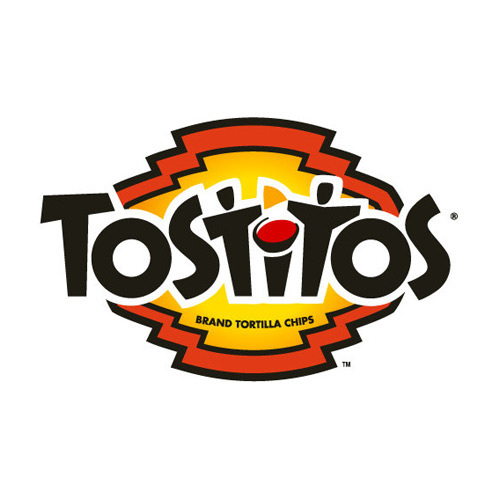 I also adore the image within the word “Tostitos” with the two t’s as people sharing chips over a bowl of salsa, with is cleverly made from the tittle, of the dot, of the i. Unfortunately, I could not find the creator of this wonderful logo, so I have nothing to link to.